The sample business loan agreement form is what you would like to refer to when you want to make an agreement for your business. Agreements are made for documenting a decision and to keep a legal record of the promise or decision. Hence, any business decision relating to loans, investments, partnerships, sharing of profits and losses etc must be made into agreements and registered. Here, you will get some good sample business agreement contract styles to follow and take ideas while making yours. 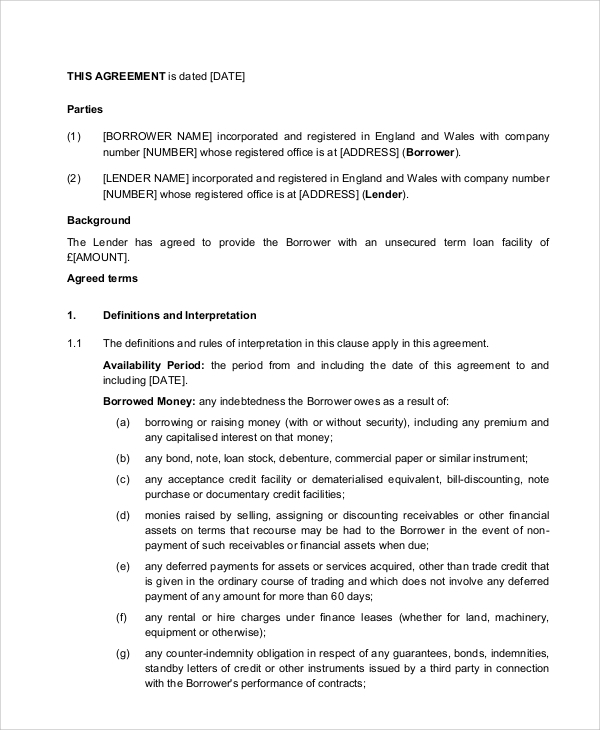 When you opt for a business loan for investing in a business, then you must use this agreement type. This pattern refers to the loan purpose as a business investment, and thus gives you the typical pattern for investment-related agreements. 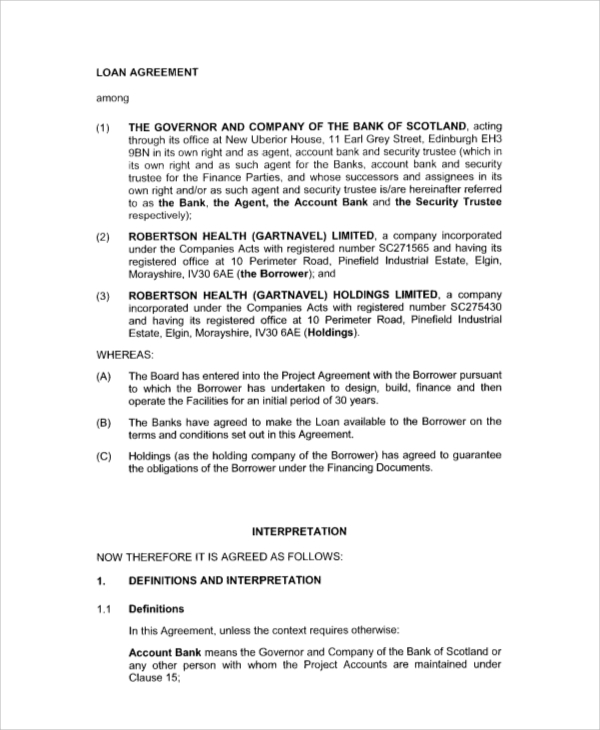 Term based loans, where the loan is closed at the end of a term, which may be a quarter or annual, can be documented through this agreement type. 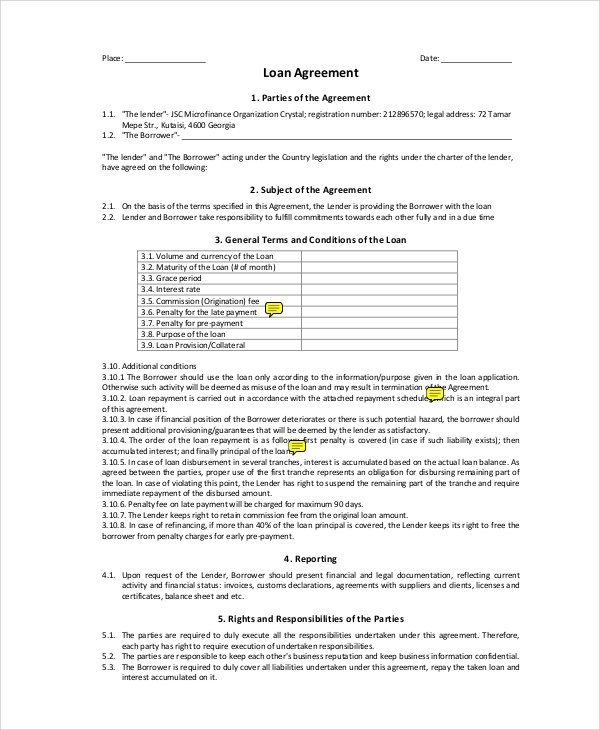 This business loan agreement template which is term based is made to help you in getting a good idea of drafting such agreements. 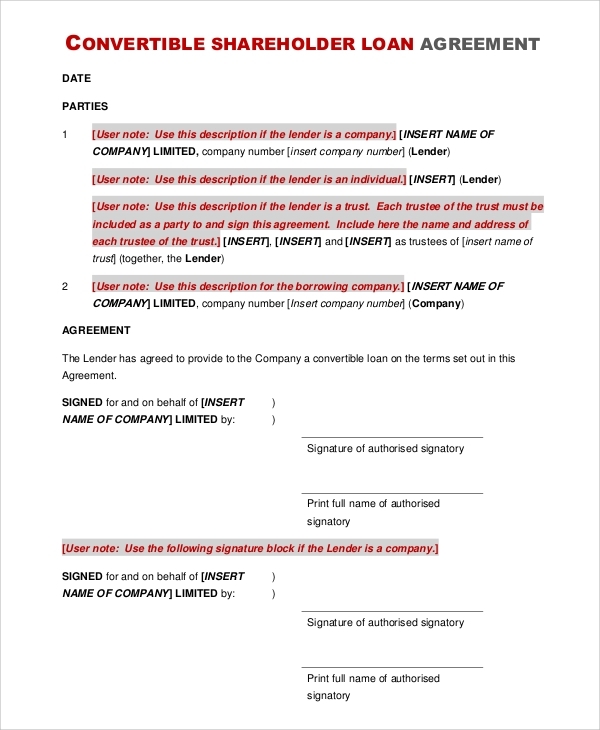 This sample business loan agreement contract is available in a simple format, where you get a basic idea of making an agreement for business loans. This can be for small or large scale loans, and for any purpose. The main idea is to develop a basic structure of making the agreement which can be a good fix of all loan types. What is a Sample Business Loan Agreement? Samples are always of great help in getting ideas. Here also, you get samples for making business loan agreements. Agreements or contracts are made when you take or give a business loan so that the whole event can be kept as a legal record. Later on, any discrepancies, disputes, etc can be fought with the help of this agreement. If you are not sure how to make the agreement, then you can always take help from the samples available online. Basic to specific, many kinds of agreements are made available to give you an idea of various loan styles in business. When you make business loan agreements, you make a document of proof that tells the terms of the agreement, the amount taken on loan, the tenure of loan and many such details. These can help you adhere to the rules, and any noncompliance can lead to legal complications if the parties associated with the agreement decide to take legal help. Therefore, it helps you structure the decision and legalize the loan. The samples help you in making the various forms of agreements by giving ideas on the writing style, the conditions normally involved etc. The sample business loan agreements play a huge role in legalizing loans taken in a business. If you are already in a business, and want to take a loan based on that, then you have to make such an agreement. These will help you in coming to terms with the various clauses and conditions involved in the business. You can get help in getting more loans and settling the loans well, when the documentation or agreement is perfect. 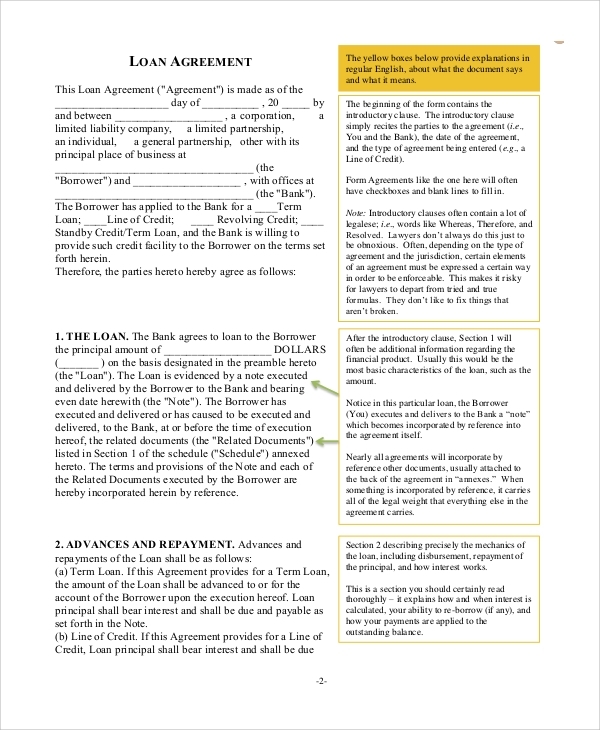 To make it perfect, the best mode is to use examples of loan agreements. The business loan agreement samples helps in making the perfect agreement while giving the right format, structure, writing style etc. The best way to start structuring your business loan agreement is by taking ideas from a template. 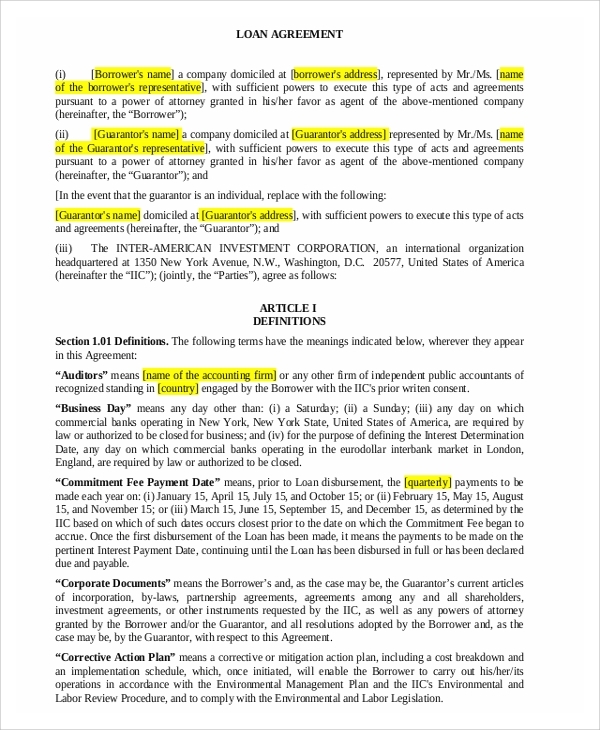 Templates show many styles of agreement making and many such templates are available online. 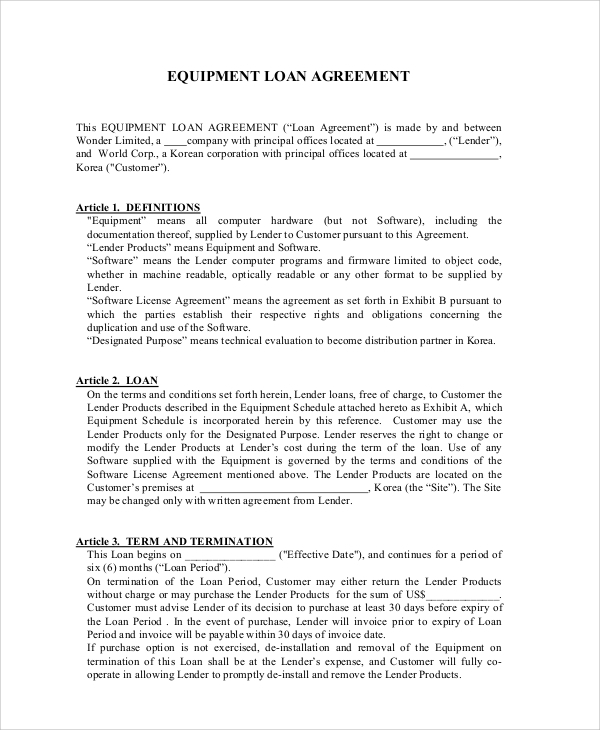 The Sample Business Lease Agreement and loan agreements styles are all available free for use.